Indian National Congress was a brainchild of British Rulers of India. It was founded on 28 December 1885 by 72 individuals with the active help by A.O Hume, a retired British officer and was said to be a ‘representative’ party for the people of the Indian sub-continent. Indian National Congress was in fact created to keep Muslims subjugated. From the very start the Congress had shown its clear interest to safeguard the rights of Hindus, alone. Some of the Congress leaders openly adopted policy to establish Hindu Raj in the sub-continent. The Muslims of India were greatly disappointed by the anti-Muslim stance that the Congress had adopted. The events following the partition of Bengal. Urdu-Hindi controversy strengthened the desire of the Muslims to organize themselves politically as a separate community. The birth of All India Muslim League at Dacca came as an expression of that desire for which a resolution was passed on 30th December 1906 by 3,000 delegates of Muslims from all over India. The resolution was presented by Nawab Salimullah Khan and seconded by Hakim Ajmal Khan, Maulana Muhammad Ali Johar and Maulana Zafar Ali. Syed Ameer Ali organized the branch of Muslim league at London, the inaugural meeting for which was held on 6th May 1908, at London Caxton Hall. 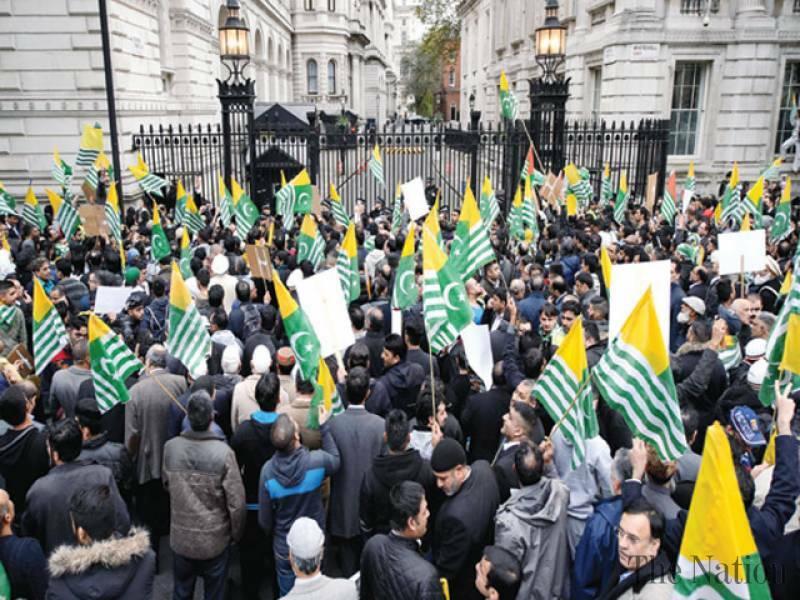 It was participated by the Muslims and those British people who favoured their view point. Mr Muhammad Ali Jinnah, who was in England, was approached by Muslim League leaders to return to India. The Lahore Resolution, commonly known as the Pakistan Resolution was drafted between 22nd to 24th March 1940, by the 25-member Working Committee of the All India Muslim League. It was presented by Maulvi A K Fazlul Haq and formally adopted by the Muslim League membership at its general session on 23 March 1940 at Minto Park (now Allama Iqbal Park), in Lahore. This resolution asked for greater Muslim autonomy within British India. However, later most people thought of this as a call for a separate Muslim state, Pakistan. Today, the resolution’s importance is remembered in Pakistan, by Minar-e-Pakistan that stands in the Allama Iqbal Park, Lahore. In the words of Quaid-i-Azam Muhammad Ali Jinnah: “Hindus and the Muslims belong to two different religions, philosophies, social customs and literature. They neither inter-marry nor inter-dine and, indeed, they belong to two different civilizations that are based mainly on conflicting ideas and conceptions. Their concepts on life and of life are different. It is quite clear that Hindus and Muslims derive their inspiration from different sources of history. They have different epics, different heroes and different episodes. Very often the hero of one is a foe of the other, and likewise, their victories and defeats overlap. To yoke together two such nations under a single state, one as a numerical minority and the other as a majority, must lead to growing discontent and final destruction of any fabric that may be so built up for the government of such a state. Muslims are a nation according to any definition of nation. We wish our people to develop to the fullest spiritual, cultural, economic, social and political life in a way that we think best and in consonance with our own ideals and according to the genius of our people”.